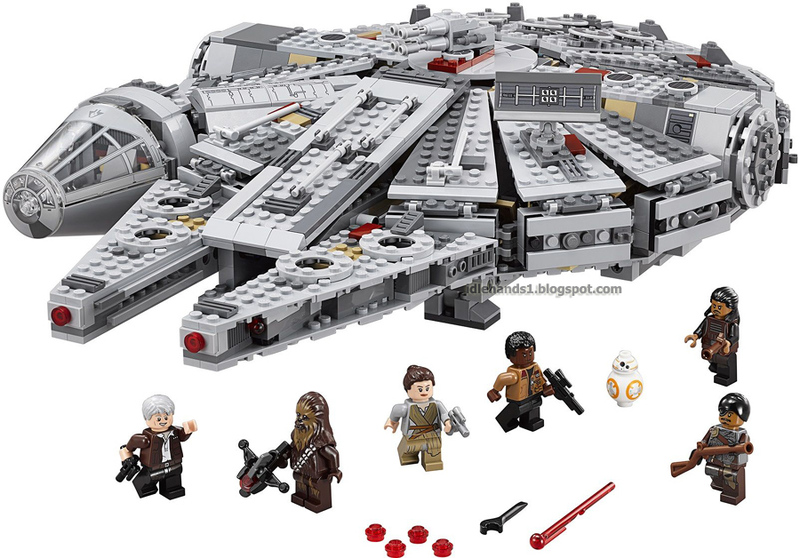 Idle Hands: Star Wars: The Force Awakens LEGO! 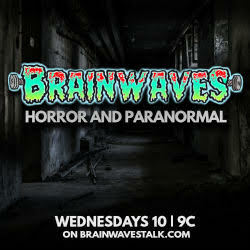 NOTE: Descriptions are translated. 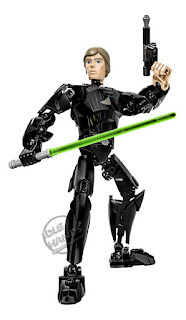 Adjust the Power!! ..you'll get that joke in a minute. 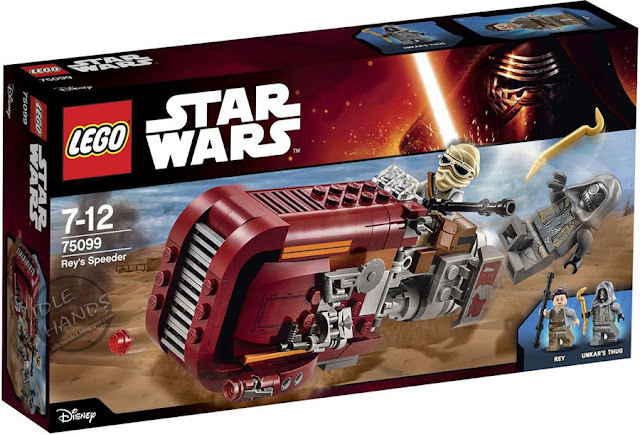 Floating on Rey's Speeder right into the fray! This cool Landspeeder is equipped with everything Rey needs for exploring the surface of a desert planet. These include double shooter, a hinged storage hatch and fixed to the side of equipment (bag, Blaster, circular saw and electric binoculars). 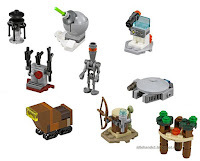 There is also a removable carriage on which a minifig fits when Rey have to do very quickly out of the dust in the desert dunes! Put your favorite scenes from Star Wars: The awakening of the power on their own to. Includes two minifigures: Rey and Unkars henchmen with a crowbar. Rotating the motor to open the storage hatch. Hang from the sledge and get ready for a real adrenaline rush when sand surfing! If you need reinforcement, you call simply the First Order Snowspeeder to help! 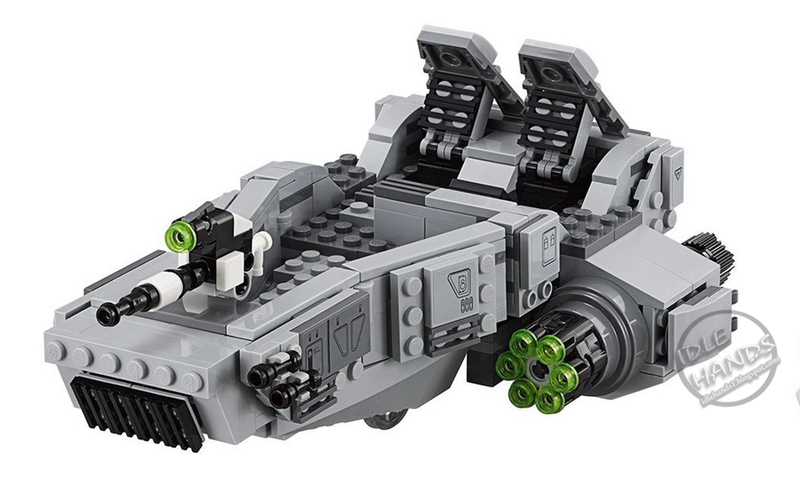 This vehicle, with its three-man crew quickly on the spot. 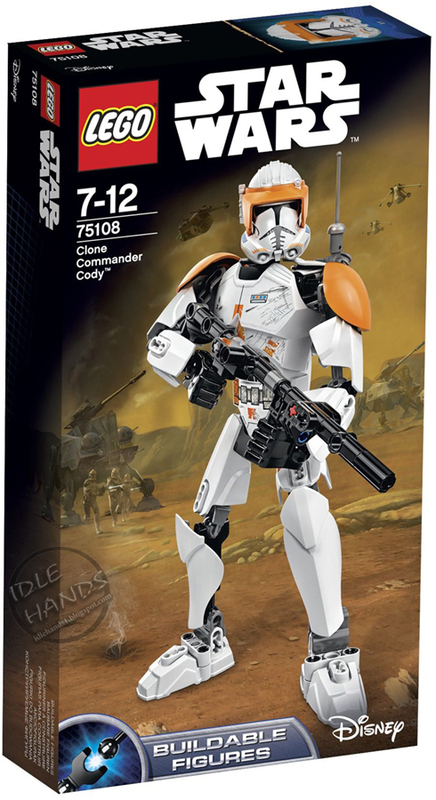 It features a front storage compartment, a fixed mounted shooters, two built-in motors rapid-fire shooter and transparent wheels, give the impression that Snowspeeder would float. 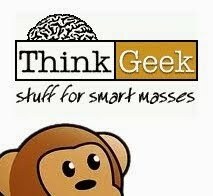 Now you can transfer your favorite scenes from Star Wars: The Awakening adjust the power on their own. 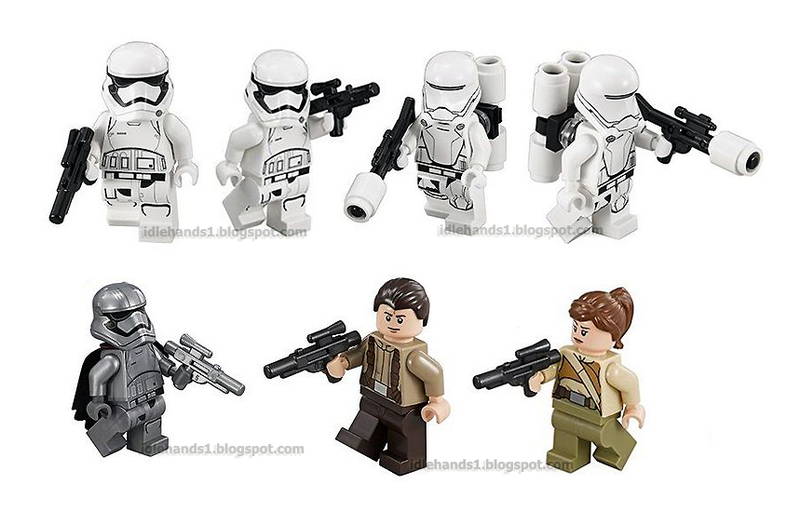 Includes 3 minifigures and appropriate equipment: 2 First Order Snowtroopers and a First Order Snowtrooper Officer. 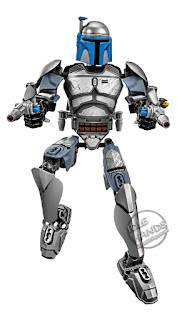 Mans the shooter and get yourself ready to fire! Looks as if he would really float! 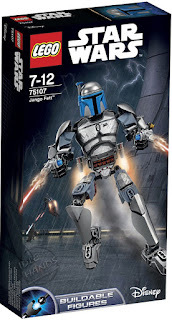 Let the motors rotate and shoot with the rapid-fire shooters. 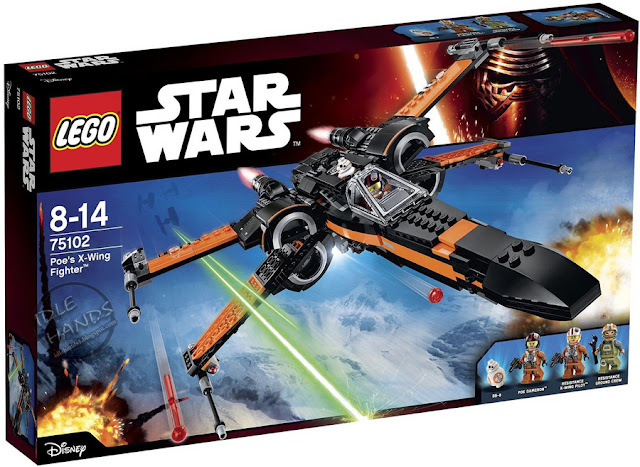 Discover also 75102 to experience Poe's X-Wing Fighter even more exciting action on the ice! With the impressive First Order Special Forces TIE Fighter you start from the enemy. 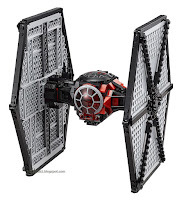 The distinctive shape of this legendary Starfighters signaled the military might of the First Order. 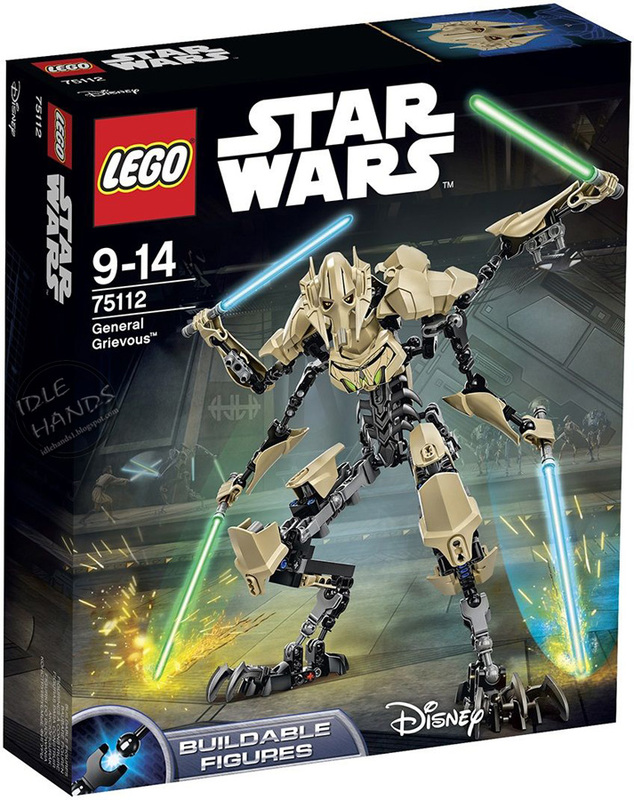 The model has a cockpit for 2 minifigures, which can be opened from above and below, 2 spring-assisted shooter and a rotating antenna to take enemy spaceships targeted. 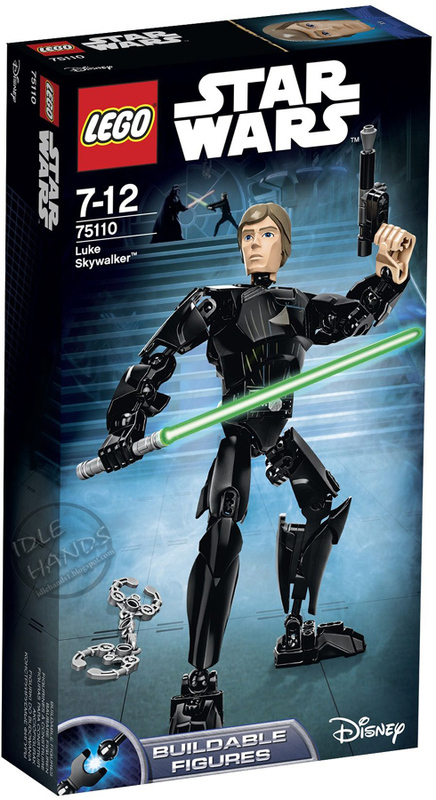 This amazing model you the captivating power of Star Wars: The Awakening adjust the power. 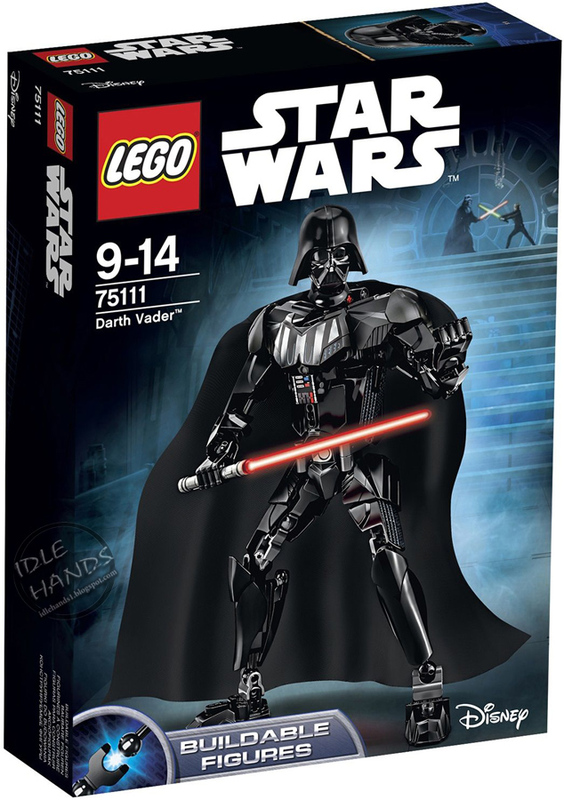 Includes 4 minifigures with equipment and accessories: 2 First Order TIE Fighter Pilots, a First Order and First Order Department Officer. 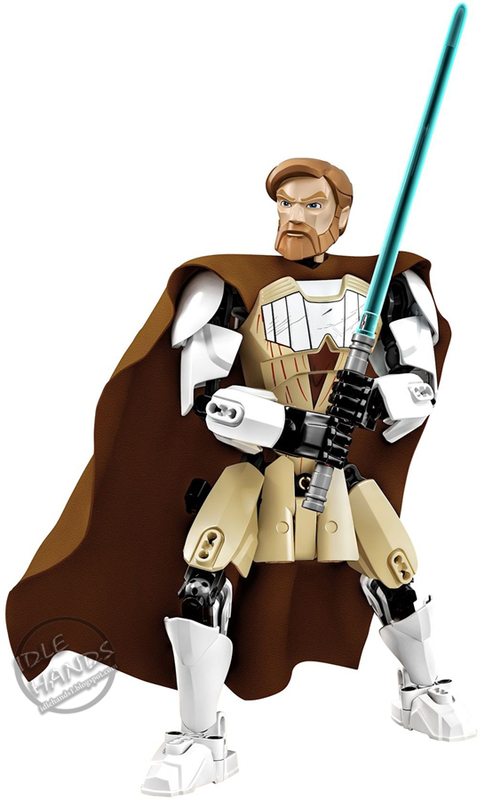 Has a legendary design, a convertible cockpit for 2 minifigures, 2 spring-assisted shooter and a rotating antenna. 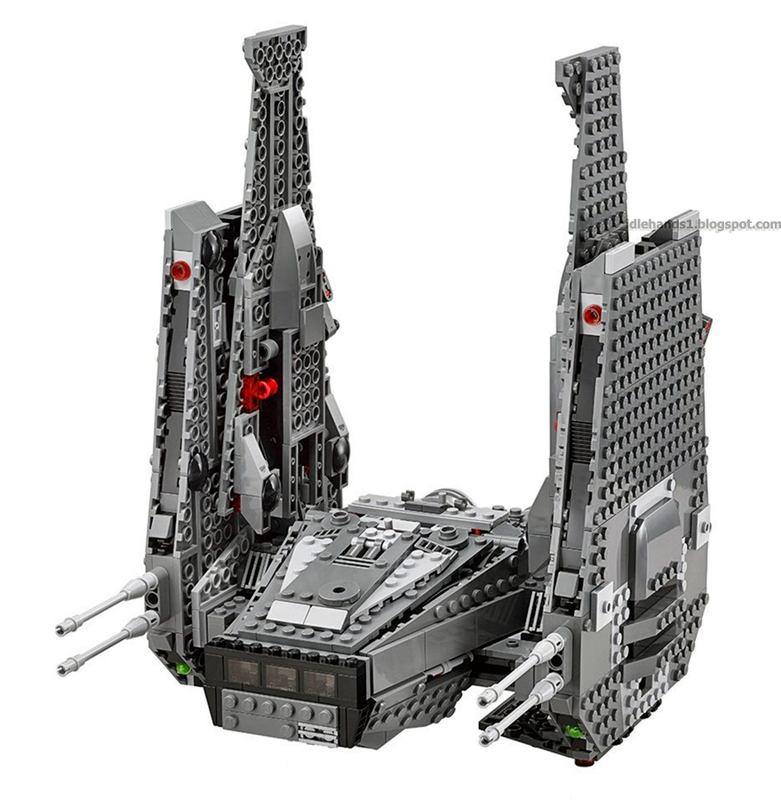 Open the cockpit and let the crew take a seat. Let rotate the antenna to track the enemy and track. Charging the shooter to make you ready to fire! 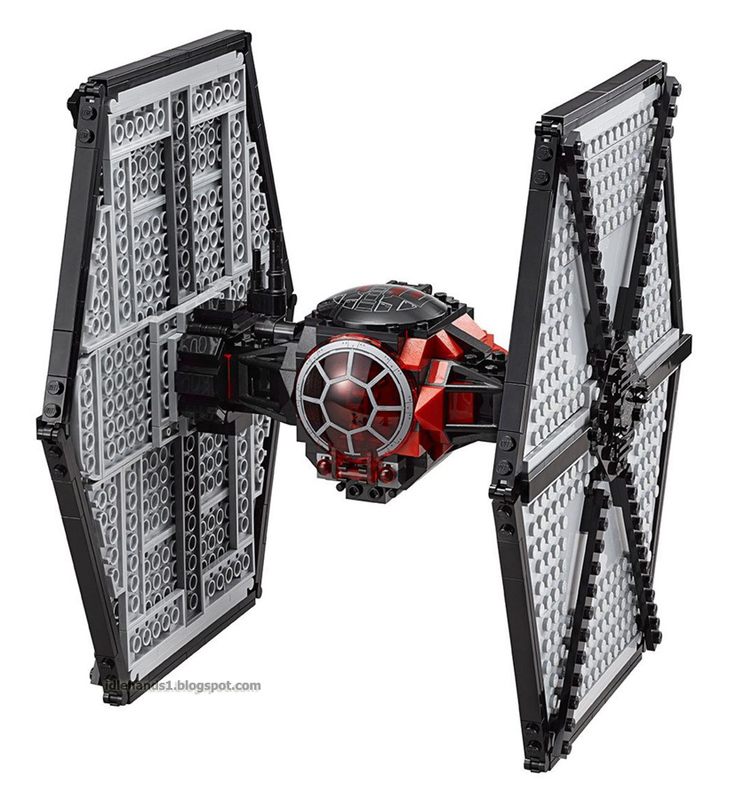 On board of Poe's X-Wing Fighter you can take on the forces of the First Order. 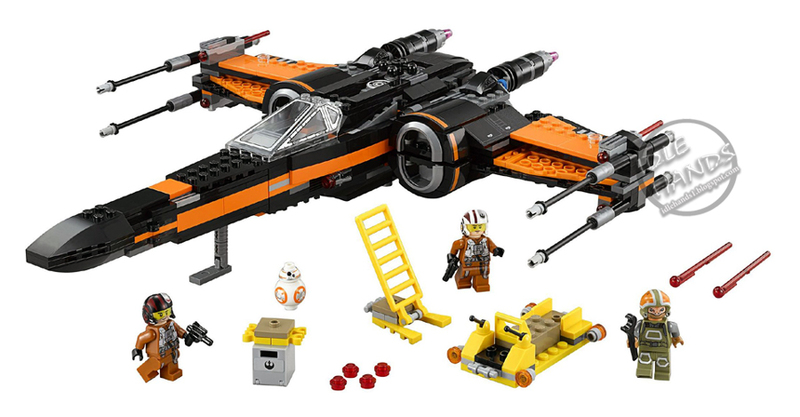 This custom-made Starfighter contains a wealth of features such as 4 spring-assisted Shooter, Shooter 2, a retractable landing gear, adjustable wing, a convertible cockpit with space for a minifigure and place behind the BB-8 astromech droid. 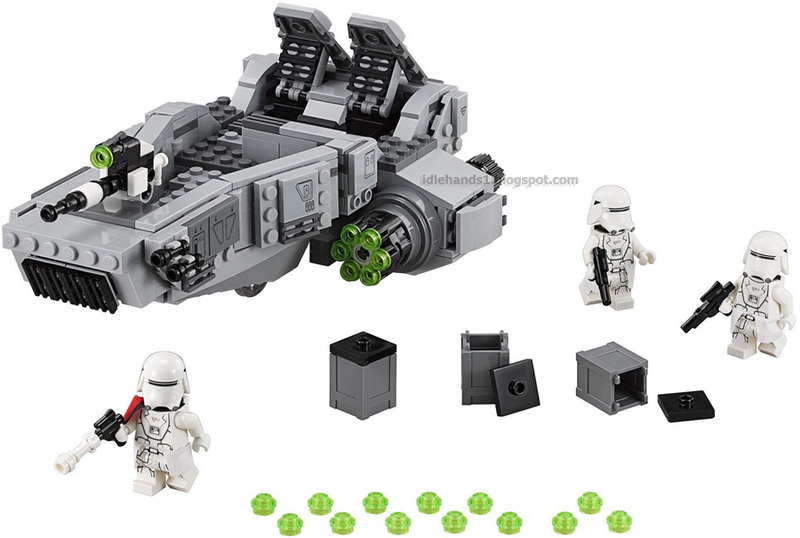 There is even a loader with equipment rack, additional rockets and ammunition and a seat for a minifigure. 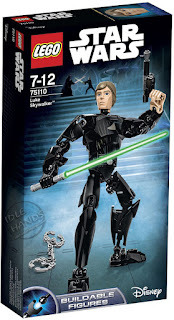 So climb the ladder to the cockpit up, Buckle at you and prepare it, from Star Wars your own great favorite scene types: recreate the awakening power. Includes 3 minifigures with equipment and accessories: Poe Dameron, a members of the ground staff and an X-Wing pilots of resistance and a BB-8 astromech droid. 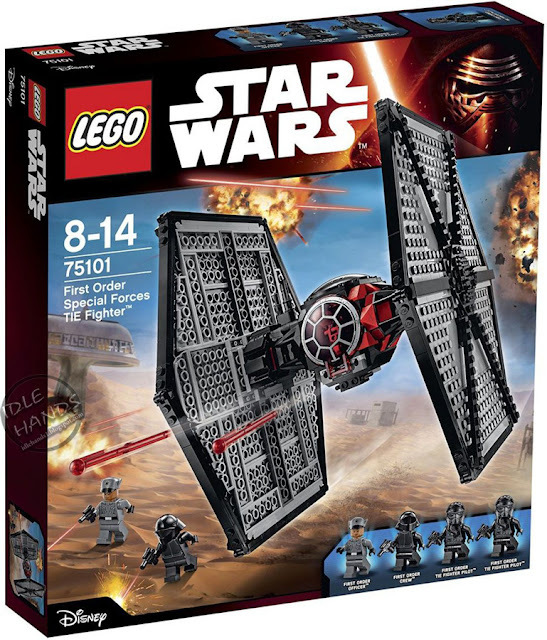 Contains Poe's X-Wing Fighter, loader and boarding ladder. The X-Wing Fighter has 4 spring-assisted Shooter, Shooter 2, a retractable landing gear, adjustable wing, a convertible cockpit with space for a minifigure and place behind the BB-8 astromech droid. 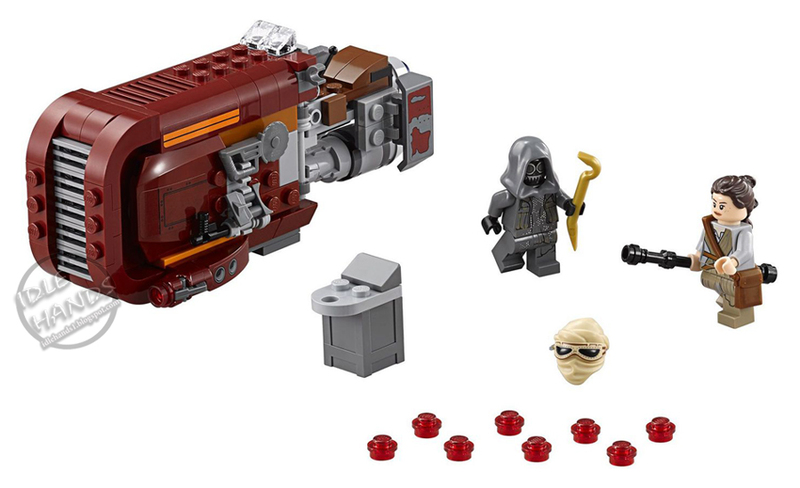 The charging device includes an equipment rack, missiles, ammunition and a seat for a minifigure. Open the wings and get yourself ready for action! With the charger you can recharge. Start the engines, folding the landing gear and fly off! 11 cm high, 37 cm long and with folded wings 32 cm and with folded wings 8cm wide. 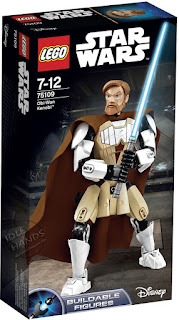 Let down the loading ramp, invite the Trooper and transport them to the scene of the action! 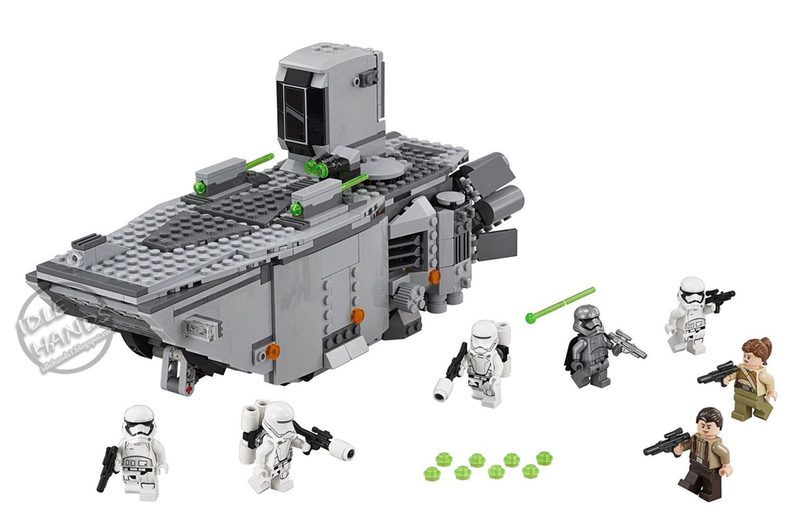 This heavily armored transporter First Order is filled with an abundance of expressive features. These include the spring-assisted double shooter that roof-mounted Double Shooter and the hatch behind which a minifig fits, the cockpit with opening hatch and the cargo area can accommodate 4 minifigures, the big stern thrusters and the invisible transparent wheels, thanks to which the model seems to float. The shell can also lose weight, so the interior is more accessible. Brace yourself on your favorite scenes from Star Wars: The Awakening recreate the power on their own. 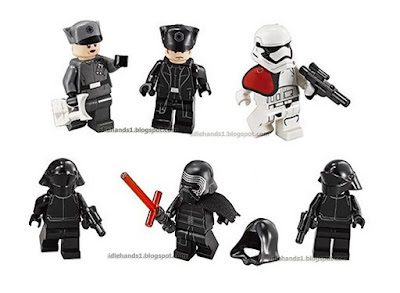 Includes 7 minifigures with equipment and accessories: 2 soldiers of resistance, 2 First Order Flame Troopers, 2 First Order Stormtroopers and Captain Phasma. 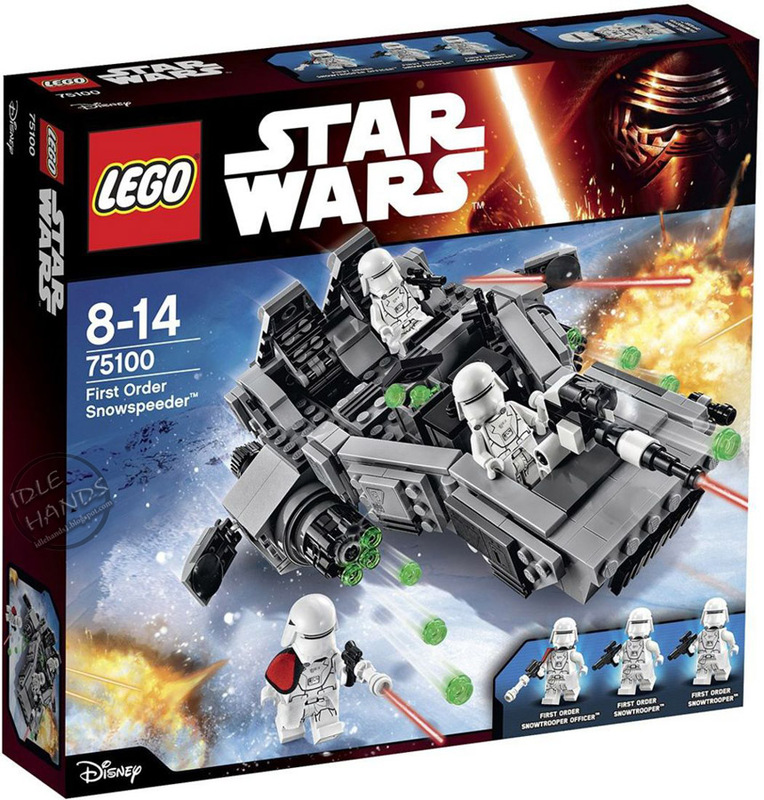 Includes spring-assisted double shooter, a roof mounted Double Shooter and a hatch behind the place a minifig space, a cockpit with opening hatch and a luggage compartment with room for 4 minifigures, large rear engines and invisible transparent wheels, thanks to which the model appears to float. Equipment: 2 Blaster, Blaster in silver optics, Blaster in titanium look and 2 flamethrowers. Turning the gear to lower the loading ramp. Take off the roof to get easy access to the interior. Put your favorite scenes from Star Wars: The Awakening of power after. 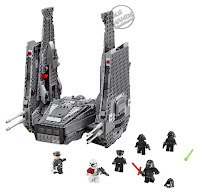 Embark on board Kylo Rens personal Command shuttle to the scene of the action! 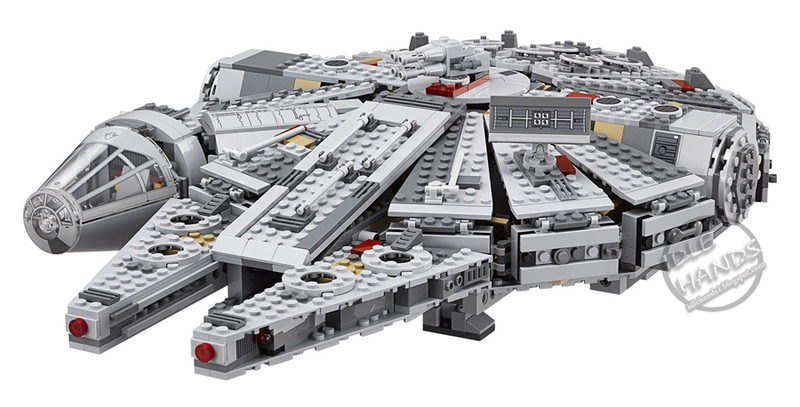 This fantastic, highly-detailed spaceship has countless features. This includes folding holds the front, back and bottom. 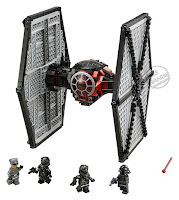 Furthermore, it has spring-assisted shooter on the wings and on removable equipment racks. 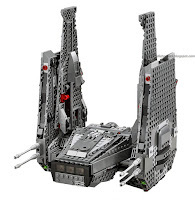 And if you long for more action, you can enable the great function for extending the wings. It is time to put the enemy and your own favorite scenes from Star Wars: The Awakening reenact the power. Includes 6 minifigures with equipment and accessories: Kylo Ren, General Hux, First Order Officer, 2 crew and a First Order First Order Stormtrooper Officer. With hinged holds the front, back and bottom, spring-assisted shooters on the wings, detachable equipment shelves and a great function for extending the wings. 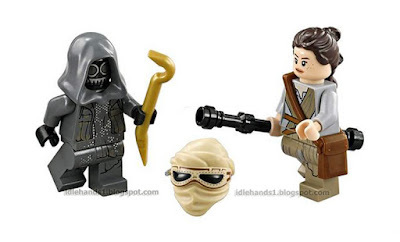 Accessories: Others 4 helmets and an electric binoculars. 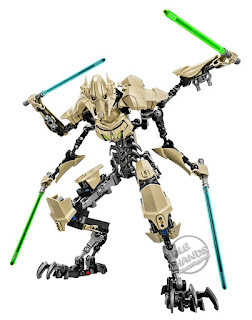 Activate the great function for extending the wings! Shooting with the spring-assisted shooters. Get new equipment from the detachable equipment shelves. 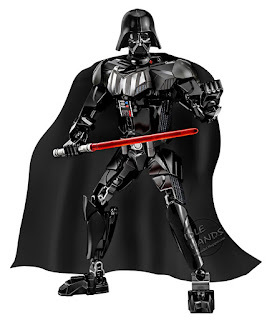 28 cm high, 22 cm long and with retracted wings 20 cm or with extended wings 40 cm wide. 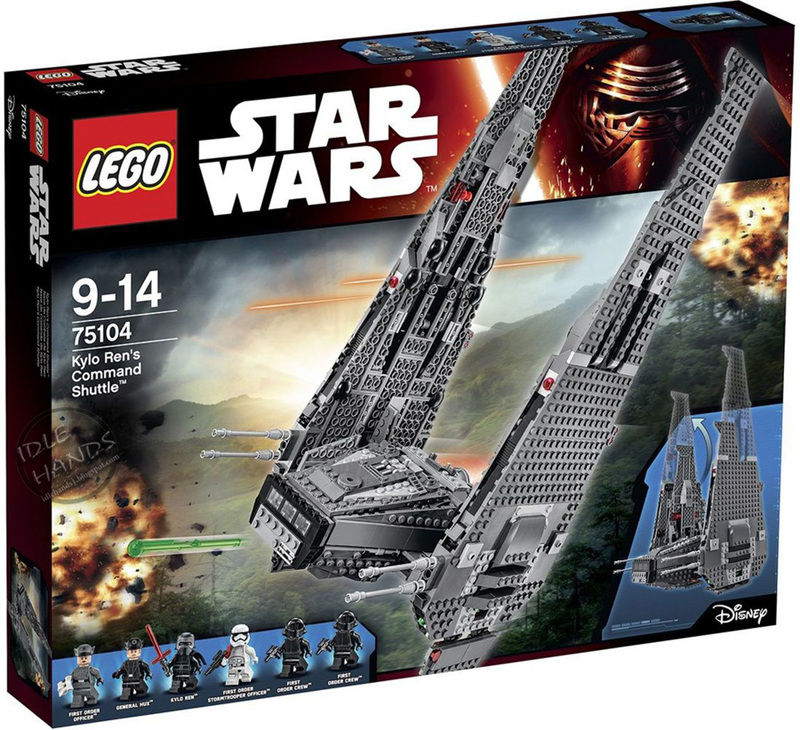 One of the most legendary spaceships from Star Wars is back - and sleeker and more powerful than ever! 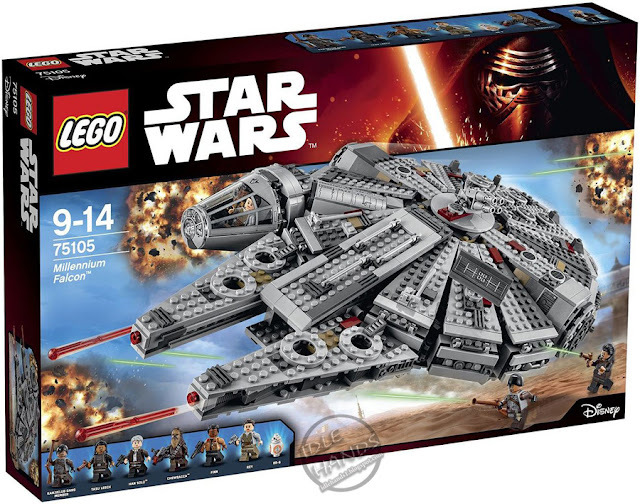 Just like in the exciting scenes from Star Wars: The Awakening of power is riddled with countless new and revised exterior features these latest LEGO® version of the Millennium Falcon. 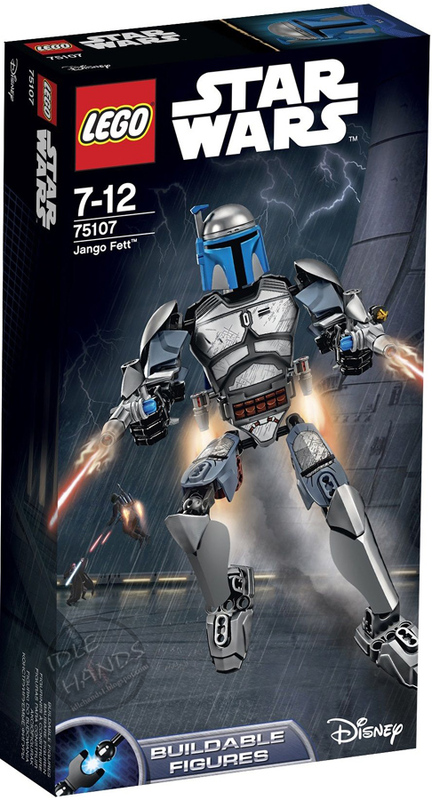 This includes also an even more streamlined and more detailed design, a removable cockpit with space for 2 minifigures, rotating laser turrets and under the spacecraft, behind the hatches In each case a minifig space, spring assisted double shooter, a sensors bowl, a loading dock and a door hatch. 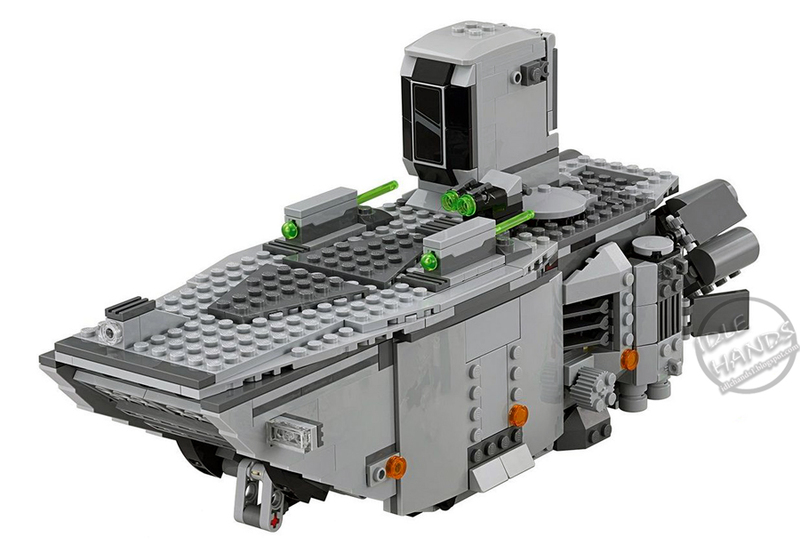 Open the plates on the hull to discover even more new and revised details inside - such as the main cargo space with a seating area and Holochess, the more detailed hyperdrive, a secret compartment, extra boxes and cables as well as storage space for the ammunition of the spring-driven shooter. And of course, may not in any LEGO model of the Millennium Falcon, Han Solo and Chewbacca lacking - just as the other great characters from Star Wars: The Awakening of power. 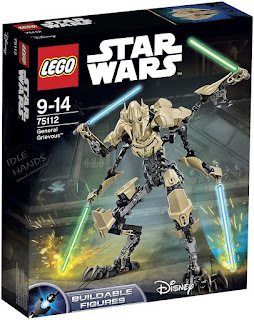 Activate the hyperdrive and take course on a lot of fun with LEGO Star Wars! 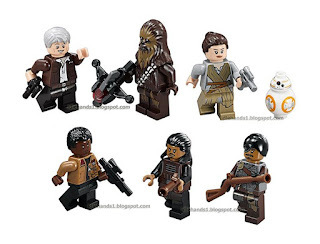 Includes 6 minifigures and appropriate equipment: Rey, Finn, Han Solo, Chewbacca, Tasu Leech and a Kanjiklub-gang member and a BB-8 astromech droid. 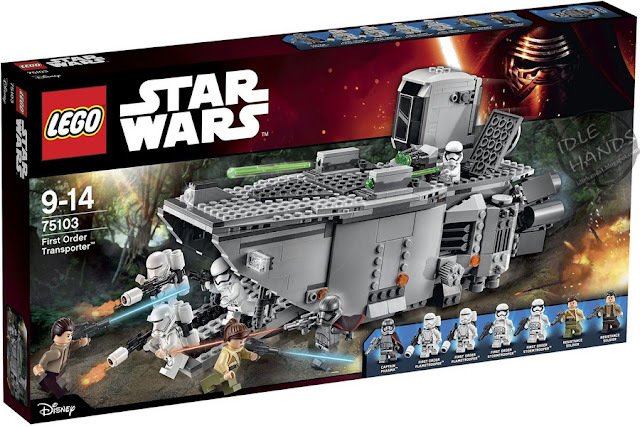 The external features include an even more streamlined and more detailed design, a removable cockpit with space for 2 minifigures, rotating laser turrets on and under the spacecraft, behind the hatches In each case a minifig space, spring assisted double shooter, a sensors bowl, a loading dock, a door hatch and hinged hull plates. 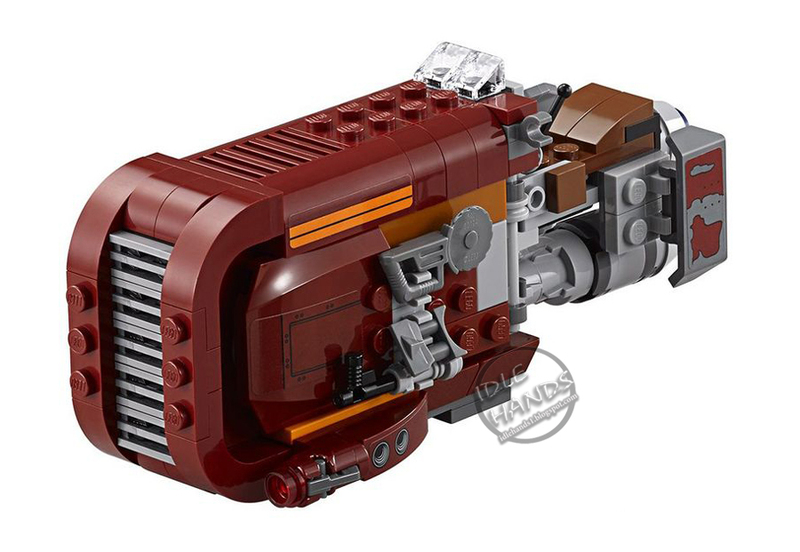 The detailed interior is home to a more detailed hyperdrive, a Holochess, a secret compartment, additional boxes and cable and storage for the ammunition of the spring-driven shooter. Facilities: a blaster pistol, a silver blaster pistol, a blaster, a speed gun, a speed gun and a Bowstringer. Heb the fuselage panels from and look at the detailed inner workings. The Holochess attracts every wannabe chess grandmaster! Shoot with the spring-loaded double shooters. Hiding equipment and other cargo in the secret compartment. Pretend you'd activate the hyperdrive to make you quickly out of the dust! With the LEGO® Star Wars Advent Calendar you can embark on a journey through the galaxy you during the festive season! 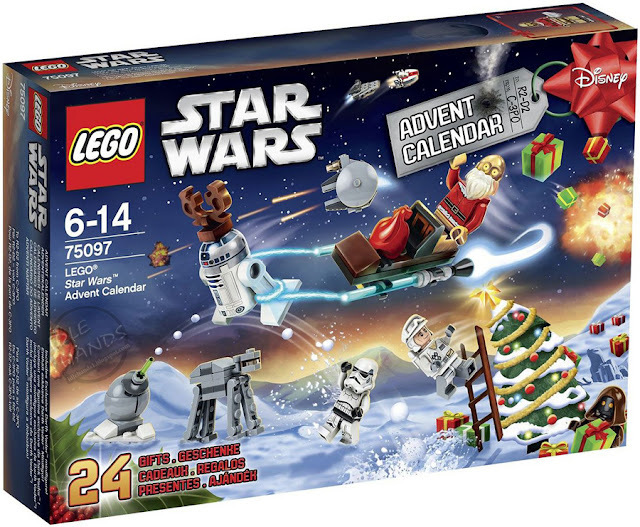 Be funny gifts hide the theme worlds of Tatooine, Endor, Hoth, Space or Christmas Behind each of the 24 doors. 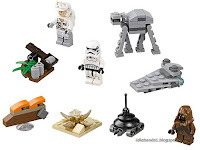 There are, among others Minifigures, starships and vehicles to discover- and a great fold-out play mat. Since Christmas is here faster than you "May the force be with you!" you say. 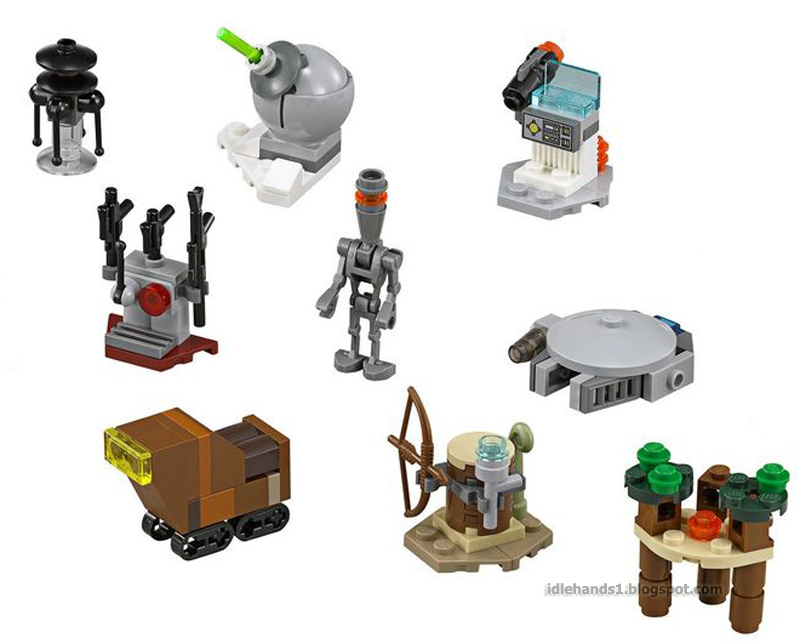 Open every day a door to 24 different gifts with designs from LEGO® Star Wars reveal. 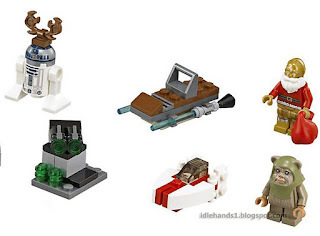 With 5 minifigures and 2 festively decorated droids. Also included: Jabba's Sail Barge, sand crawler, Star Destroyer, Millennium Falcon, AT-AT, A-wing Starfighter and a sled. With Ewok weapons rack, catapult gun turret, Blaster stand and Hoth command post. 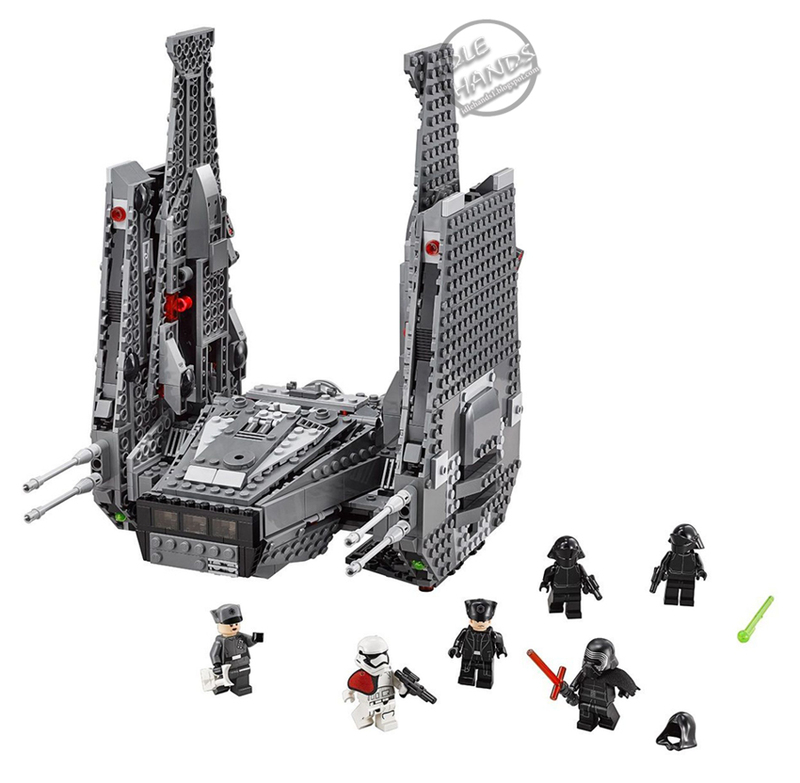 Games on the fun, foldable playmat the scenes from LEGO® Star Wars after. A great gift for all men and Sith Lords!